At CHS, we are committed to making a long-lasting, measurable impact on rural America and the agricultural industry. Through our stewardship efforts, we use the collective power of the cooperative system to develop ag leaders for life and to strengthen the hometown communities where our employees, owners and customers live and work. CHS employees give their time, talent and resources back to their local communities through a variety of stewardship efforts including annual Days of Service hours. We also focus on improving ag safety and cultivating ag leaders through the CHS Seeds for Stewardship program, which may make up to $5,000 per year available for local projects. Learn more at chsinc.com/stewardship. Our annual CHS Harvest for Hunger program has provided more than 7.5 million meals for local food shelves since 2011. Contact one of our locations to find out how you can participate in the next CHS Harvest for Hunger drive by contributing cash, grain, and canned/fresh foods. 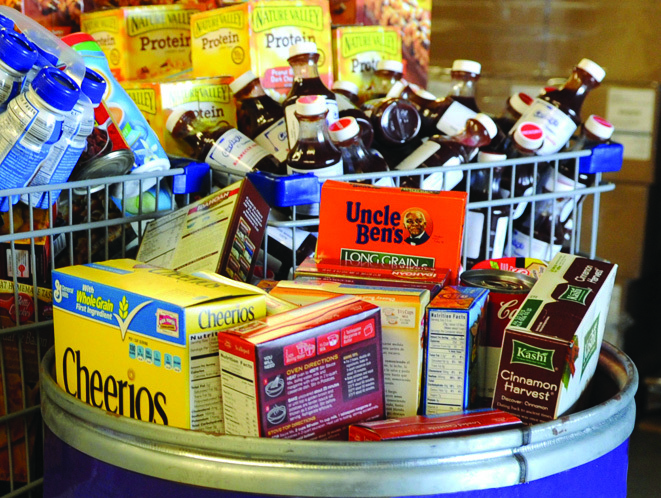 Your donations help feed people in need right here where we live. The CHS Foundation helps to create a strong future for rural America. The foundation partners with nearly 30 universities to award scholarships to college students pursuing degrees in agricultural-related fields as well as mini-grants for agriculture-focused college clubs. Students and clubs apply for these scholarships directly through the college or university where they plan to attend. Learn more and see a list of partner universities.